Do you understand what email marketing is? If you do not, you do not have to worry just yet. This is because the concept of email marketing is relatively new to many internet starter. They have not started to take advantage of this wonderful marketing tool yet. In this Email Marketing Clinic, we shall explain simply what email marketing is, what is needed for you to start and what are the advantages. Basically email marketing is a system of promoting to people who have subscribed to you, they are happy for you to send them emails with links to products or information to a related topic. Before you put someone on your email marketing list, you need to have their permission. If you don’t have their permission, you will be responsible for sending spam and there will be many complaints. Your email provider may even dissolve your account if they get wind of what you’re doing. When someone subscribes to your email marketing list, confirm that this is what they really intended to do. Implementing the double opt in strategy will make it much less likely that your email provider will receive spam complaints about you. Also, you will be assured that the people receiving your emails are actually interested in what you are sending them. Once you begin to build your email marketing list you may choose to use it as a service or newsletter to your reader. If you are using article marketing in your affiliate marketing business then that article is also a good message to send to your subscribers. You can also choose to send out any updates on your products or services, perhaps special discounts, or any other information that you believe will be of value to your subscribers. What is needed for you to start? 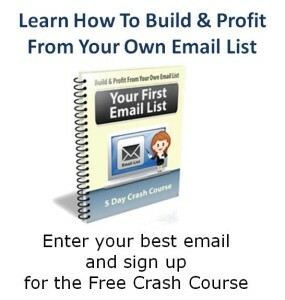 So how can a new online business owner or internet marketer get started with email marketing? Well, first you will need an email account like Gmail, Hotmail, Yahoo Mail, etc. In today’s context, Gmail is the most popular, much prefer and acceptable in the internet marketplace. Maybe, it is because Gmail belongs to Google. If you do not have a Gmail account, you can create one here. You can create as many accounts as you wish as long as you can manage them properly. Next you need an autoresponder. Autoresponder as their name suggests is a type of software that automatically responds to email messages sent to you. This is important because it allows people to get information that they want immediately rather than waiting for you to reply when using the traditional email method. Autoresponder also allow you to send personalized, follow up messages to your mailing list. You only have to write these messages once, program the sending interval and the system will automatically send them out for you. Internet marketers have long understood the importance of autoresponder because it not only allows them to conduct business 24/7 around the clock but also the time freedom to enjoy life away from the grind of a regular 9 to 5 job. There are many autoresponders in the market today. Most popular ones are Aweber, GetResponse, MailChimp as to name a few. Some of them are expensive but deliver best results and help obtain impressive output in a shorter time frame. These tools help bring business in a dynamic way which is needed for the benefit and expansion of a business. The selection is up to you but as a new marketer with tight budget, it is better to opt for a cheaper one with the maximum number of subscribers that it can offer. For this reason, I have chosen GetResponse from the start of my internet journey as it gives 1000 subscribers at $15. Recently, there is a new autoresponder called INinbox where they provide 2000 contacts and 20000 emails for free. And the upgrade is much cheaper than what I have. It is worth to take a look. One major advantage of email marketing is cost which is extremely affordable. Ideally, you will already have your list of recipients who would be interested in the products or services that you are offering. There is no cost connected with obtaining your list like printing or mailing costs. Most likely, you will have to pay for a company to send your mailings, which protects your business against spam complaints, but this is a small, monthly charge. 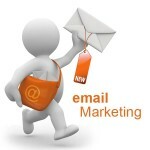 All of the factors make email marketing very cost effective as compare with other forms of marketing. The clearest disadvantage of email marketing would be its possibility of being viewed as some sort of spam. Everyday internet users would be sent unsolicited emails that serve as advertisements. The number of spam filters of email boxes need to be very suspicious about emails that they receive that are unsolicited. So now you have an idea what email marketing is all about and what it can do for you if you have an online business. You need not to make your email marketing campaign unnecessarily complex. There is no need of presenting yourself formally all the time. In fact, the simpler it is the better chance it has to produce result. Short and snappy and light hearted email can be more valuable. However, it should also be remembered that a formal newsletter can be effective as well. Does this article help you? If not, what other issues that you need help? Please leave your comment below.